Halifax results from March 2018 show that average mortgage payments are at 29% of household income, making mortgages the most affordable they’ve been since the 1990s. 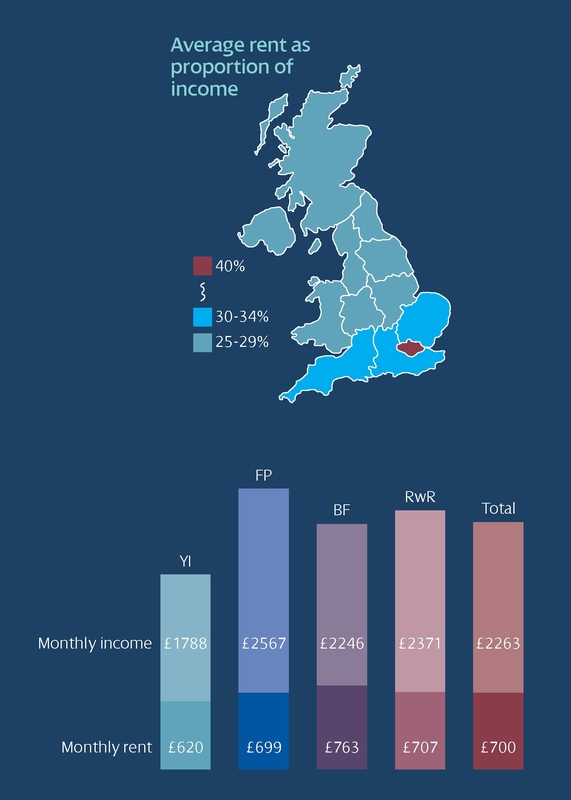 As a proportion of income, rent now exceeds mortgage payments in some regions, with the overall UK average being 31% in 2018. Average rent as a proportion of income by geographical region and lifestage groups.